You are here: Home / Dog Articles / Why Not Build a Dog Cart? Why Not Build a Dog Cart? Teaching your dog to pull a cart can be both fun and practical. It’s certainly going to give your dog a nice workout but it’s also giving him a job to do. It’s a dog sport that’s also referred to as urban mushing – which is any sport that involves dogs pulling such as sledding and carting. Imagine how fun it would be to have your dog pulling you around the neighborhood, and now imagine the look on your neighbors faces. You could even have him haul groceries, firewood or a basket full of kittens if you so desire. 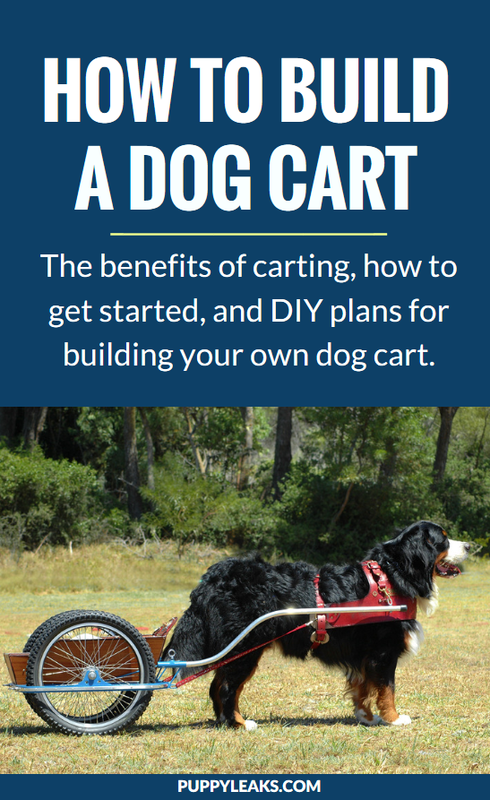 Here’s the benefits of dog carting, and some DIY dog cart plans you can use to get started. 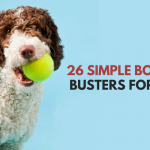 Newfoundlands, Bernese Mountain Dogs, Huskies, and many other breeds have been pulling carts for centuries, but small dogs can get in on the action as well. The general rule is that any dog that weighs about 30 pounds or more can pull a cart — as long as you get a cart that is the right size. Any dog that likes to pull can certainly have fun doing so. 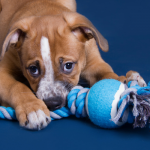 Generally dogs can pull 2-3 times their body weight. If you’re going to be going uphill or on some rough terrain reduce the load as needed. 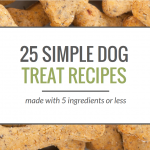 Each dog is different so finding the right balance for your dog will take a bit of patience. If your dog has any mobility issues or back problems I recommend sticking to lower impact exercises. Although some breeds like Huskies might know how to pull naturally it’s important to teach them how to properly pull a cart. 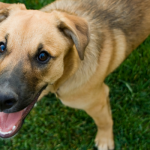 Dogs need to get comfortable with turning and it can be somewhat intimidating starting out. Most of the commands used when carting are simple obedience commands with a few specific ones added in. For more information check out these articles on how to train your dog to pull a cart & urban mushing: a solution for high energy dogs. Carting can be a fun way to exercise with your dog. It’s mentally stimulating and physically demanding for him. Some dogs are naturals at it while others may want nothing to do with it. « Why Do Dogs Love Belly Rubs? For certain dogs I think it is a great idea. We just need a proper harness so we don’t injure ourselves. Pulling sleds in the winter is fun too. Yeah certain dogs could really have a great time with it. A properly fitting harness is a must, you are correct. Very cool. I can see how large, strong dogs like the rottie will benefit from this – and love it. I bet Jack could do it…well maybe when he was younger. Thanks for sharing. Thanks for joining the Hop. Thanks for having me in the hop. I think a lot of bigger breeds would really love it, I was surprised to find out how deeply ingrained cart pulling was in their history. I have totally wanted to do this with Niles. I used to dream of making her accompany me to the Farmers Marker with her cart and then have her haul the goods back home! I don’t think Bentley my Basset would be very good at it. Being short and a free-thinker (stubborn) he would just stand like a tortured statue! LOL!! I always thought that since my girls pull when on leash, that they would be good at pulling other things. But I never thought of it as a form of exercise for them like this….pretty cool! 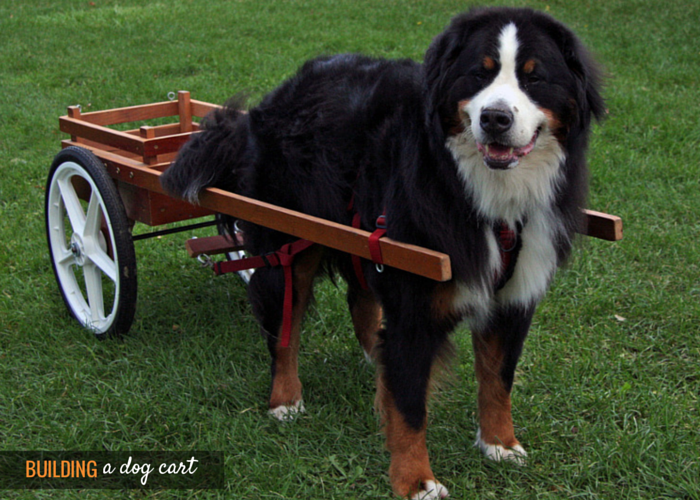 I have a Bernese mtn dog, I tried making my own cart, however it didn’t end up right. Could anyone tell me where I can buy a cart for him to pull? I recommend Wilczek Woodworks and Dog Work’s carts. “Carting” is actually the overall term for pulling any type of equipment. Draft carting is pulling a 4-wheel wagon, 2-wheel cart or even a travois. Driving is pulling a sulky. Mushing and joring are terms used for a dog pulling a person on a sled, skis, bike, scooter or even a person running. One important difference is that the harnesses used for these activities are not the same. The harness you show in this article would be the proper one for mushing and joring – the dog pulls with one line attached to the person or vehicle and isn’t pulling heavy weight constantly (the line is often slack). The harness used for draft carting is usually a Siwash harness which is made to have two traces and two shafts attached to it. Sulkies have another type of harness made to fit a single shaft that rises above the dog’s back (dorsal shaft) although some sulkies have two shafts. I’m just adding this comment so that people can learn more about the equipment and for safety reasons – the harness shown would be unsafe for carts, wagons or sulkies. There are several excellent Facebook groups devoted to dog carting which I would highly recommend joining!